How does a Staff Carer create a Roll Call report? Staff Carers (i.e., teachers, club coaches, team managers, supervisors, etc.) 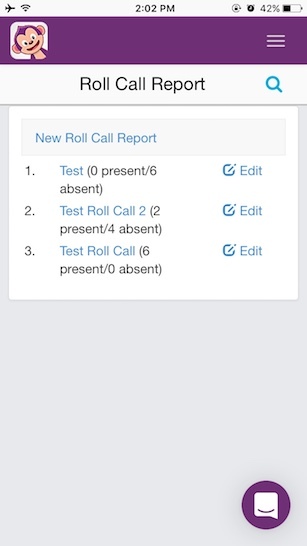 can use the Roll Call report as an "attendance report" in any excursion (typically for schools), club or company event, staff meeting, etc., to mark those who are present or absent. This can be done through a Group or eForm. 1. Sign-in to CareMonkey on a mobile device or a browser. 2. Go to the Groups and eForms section and click on the Group name or eForm name in question. 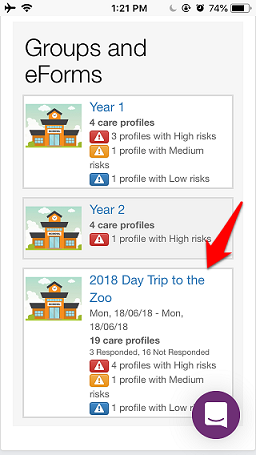 For the sample screenshots, we will be creating a Roll Call report using a mobile phone and we will choose the "2018 Day Trip to the Zoo" eForm. 3. 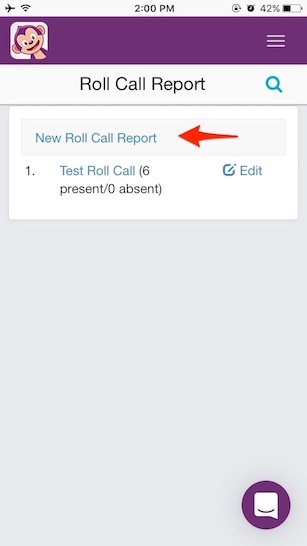 Click on Roll Call Report to submit a roll call report. 4. 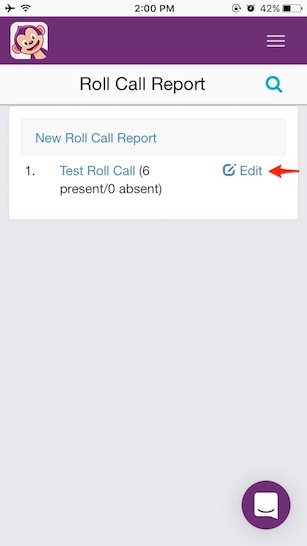 Type in the details for the first roll call report, tick the members who are present, and click on the Save button. 5. If there's a need to edit the report, click on the Edit icon, make the necessary changes, and click on Save. 6. 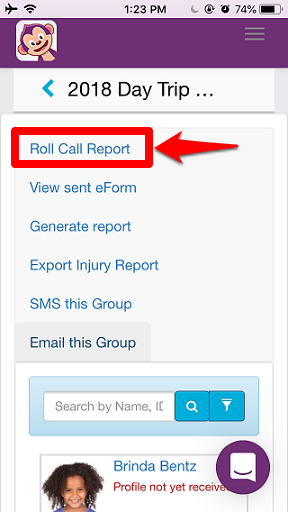 If there's a need to enter another roll call report, please click on New Roll Call Report. 7. 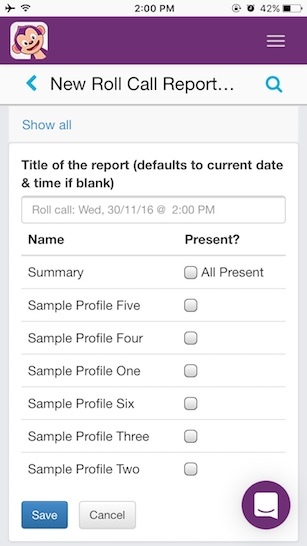 Subsequent roll calls will show you who was present for the previous roll call so that you can better keep track all the activities. 8. The reports will now be shown under the Roll Call Report of the eForm or group. It will be sorted based on when it was created, with the latest roll call report on top. 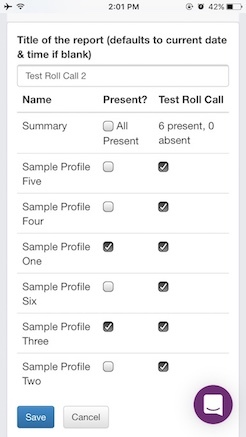 NOTE: Roll call reports successfully saved are immediately made available for the administrators to view.